The chapel is the home of the Community of the Holy Archangel Michael in the tradition of the Russian Catholic Church of the Byzantine Rite. 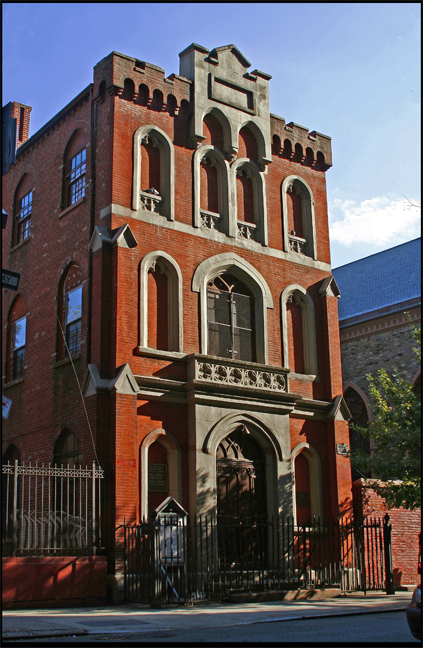 St Michael’s Chapel was established in 1936 to meet the needs of Russian immigrants living in the New York metropolitan area and to continue the movement toward Christian unity. We welcome all people; we celebrate our faith in an ethnically diverse community. We welcome Russians and non-Russians, churched and unchurched; all people who are committed to developing a deeper understanding of Christianity expressed in the Byzantine tradition and spirituality, and who wish to work towards the full communion of the Orthodox and Catholic Churches. We are, and we are willing to continue to be a living sign that full unity of the Roman Catholic Church, the other Eastern Catholic Churches as well as our sister Orthodox Churches is possible without any loss of traditional identity. We root our faith in the Holy Scriptures and the Apostolic and Patristic Tradition according to the understanding of the Russian Catholic Church. We profess our Christian faith in its universal dimension, in communion with the Bishop of Rome, the Pope. We reach out to immigrants, those in need, the lonely, the marginalized. We care for and about all those in our community, and all those who choose to join with us in fellowship and friendship to worship the Risen Lord. St. Michael’s offers religious education and instruction, referral services for immigration and other matters. St. Michael’s offers itself, a community, a family for all who come seeking acceptance.